We tend to stress ourselves out, even with things that should enhance our lives, such as cooking dinner. Why are you viewing your home life as a series of chores rather than a set of little luxuries? What if you cooked dinner on a granite-topped grill and took in the moment? Luxurious, right? One of our luxuries is time. I’ve discovered I can best utilize it by marking the time. For instance, I’d been procrastinating on finishing a sewing project because when I returned to the machine it was jamming up the thread. I brought an egg timer into the sewing room and gave myself 15 minutes to figure it out. Re-reading the manual helped too. 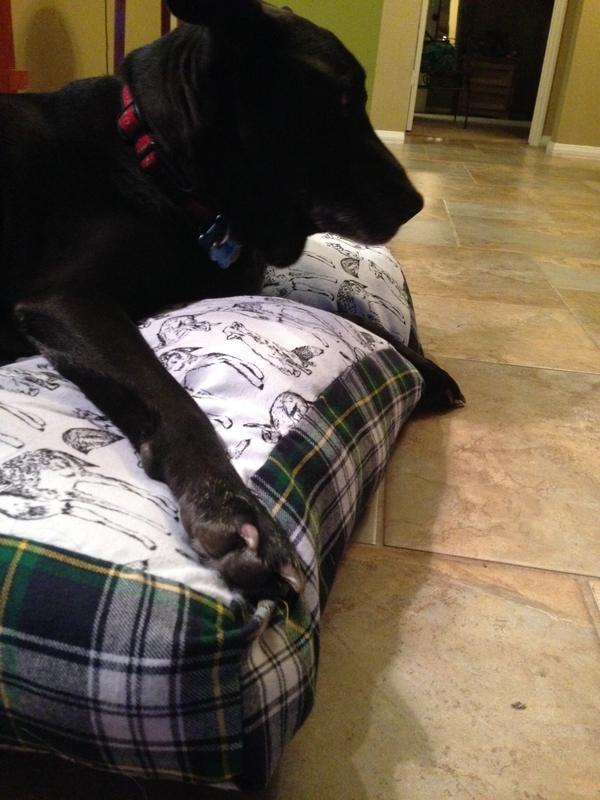 Soon enough, I had the machine rolling again and with relative ease, finished the project: a duvet for a doggie bed. The fabric had been measured and cut, twice, a month earlier. It was easy to assemble and the result makes me and the dogs happy. I picked up this 15 minutes idea from my physician to whom I complained about how hard it can be to motivate to go the gym. He suggested I convince myself by thinking it will only be 15 minutes and then find myself putting in a 30-minute workout. Last night, I needed to de-clutter my mind and opted to take 15 minutes to meditate. It may have been 20 minutes I laid on a yoga mat breathing mindfully and it really helped. Dinner should never be viewed as a chore and it too can be prepared relatively quickly. Here are two examples. 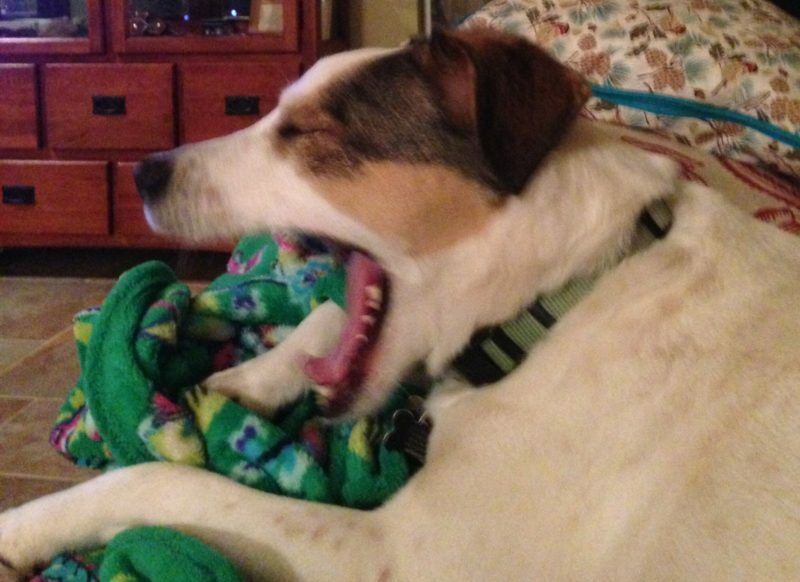 Sunday night in this household is all about The Walking Dead. I used to make elaborate meals for this event. This time, I sliced up a chicken breast and marinated it in a plastic storage bag in rosemary, Meyer lemon juice and sliced garlic cloves. 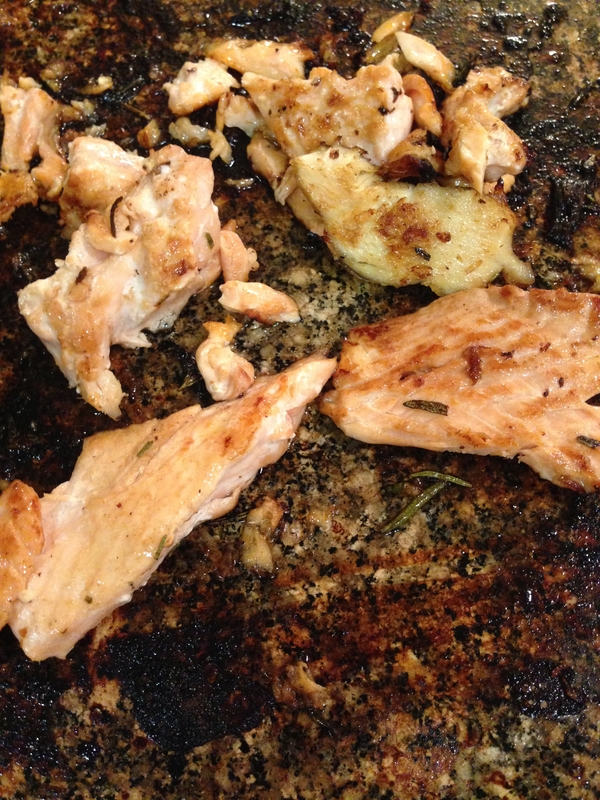 I sliced off the skin from a filet of salmon. All I did to cook the meat and fish was to place it on the hot granite atop the raclette grill. 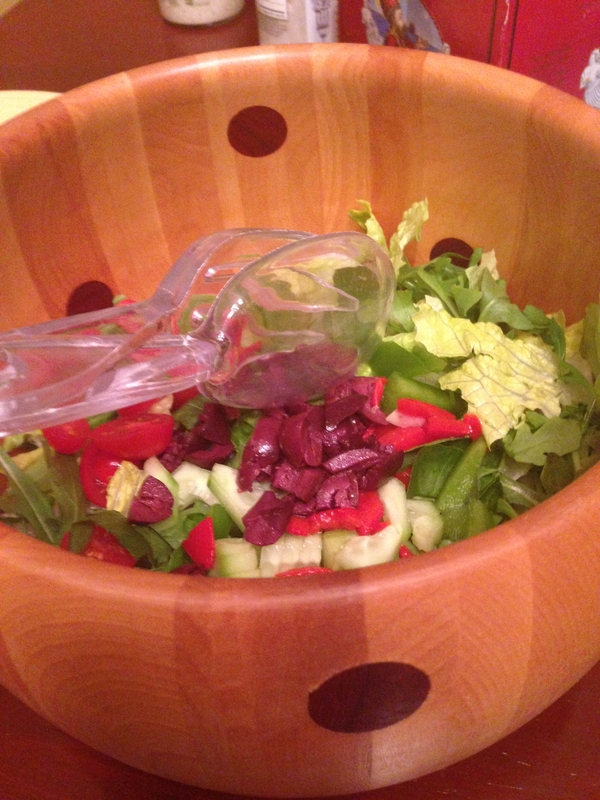 I assembled a salad with lettuce and some deli salad sides (Greek olives and sliced roasted red pepper). Voila, a delicious dinner. In that instance, I had just returned from the grocery store with fresh ingredients. But, I also recently discovered that the granite grill is great for cooking up canned vegetables. 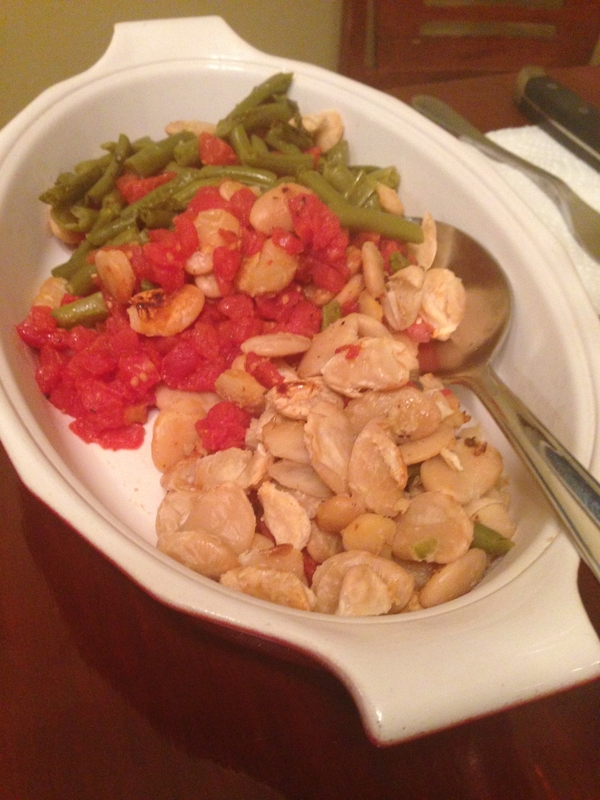 I rubbed on some olive oil and then let the grill work its magic on butter beans, green beans and diced (drained) tomatoes. Salt, pepper and parmesan cheese brought it all together and to the table with ease. That’s what I mean when I talk about crafting your own happiness. Grilled Chicken Wings – Why Didn’t I Think of That?